Bio | Lee Dougherty, Esq. Lee Dougherty practices in the area of Government Contracting at Effectus, PLLC in Washington, DC and Tampa, FL. 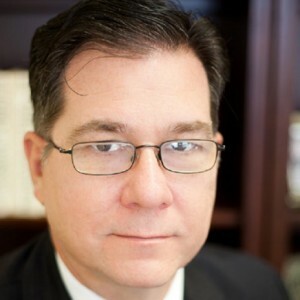 He has experience in all phases of government contracting at the Federal, State and local level, from contract formation through contract administration and dispute resolution. His experience includes bid protests, negotiated procurement disputes, terminations for convenience and defaults and litigation. He has unique experience in government fraud investigations and DCAA audits, False Claims Act investigations, Contracts Disputes Act issues, suspension and debarment, Qui Tam cases, other administrative and criminal investigations and litigation. He is recognized for his work in the area of Bid Protests and since 2012 has represented clients in more than 100 protests at the Agency, the GAO, the Court of Federal Claims and taken protest on appeal at the United States Court of Appeals for the Federal Circuit. He is a frequent guest on Federal News Radio and previously wrote a weekly article on Bid Protests in the Washington Business Journal. Lee has an extensive background in U.S. Army Special Operations having served in the 75th Ranger Regiment and several Special Forces Groups. Lee is a member of the US Army Reserve Judge Advocate Corps (JAG). He served multiple tours of duty in Iraq and Afghanistan as advisor to Joint Special Operations Task Forces. Lee is a graduate of Ranger, Airborne, Air Assault and Pathfinder Schools. Lee also served as a legal advisor to military commands in Europe and in the Pacific. In 2008, Lee was selected as the legal advisor to the European Special Investigation & Fraud Field Office (ESIFFO) and has attended the Procurement Fraud Investigators Course conducted by the Federal Law Enforcement Training Center (FLETC) in Glynco, GA. In 2010, he was given special assignment as advisor to the Government of Timor-Leste. Lee also has extensive international experience in procurement law in Europe, Asia and Africa while serving with the Department of State, as a member of the US Army and private practice supporting contract negotiations and formation for clients. Lee has negotiated contracts for clients on five different continents and has advised on international law, corporate compliance, export control law (ITAR and EAR) and FCPA. Lee has helped clients in both importing and exporting of goods primarily for use by the US or foreign governments. Lee is recognized for his work with small businesses and is a leading expert on Veterans small business issue. He is a zealous advocate for Veterans and Veteran business owners and has written extensively on Veterans issues. He is the founder and host of Objective Rally Point (ORP), a monthly networking event for Veterans. Lee has extensive experience in litigation and general corporate practice. This broad experience allows him to act as outside general counsel for government contractors that are not large enough to justify a full time in-house general counsel. Due to some of his unique experiences he has been retained as an expert witness several times to testify in various government contract legal disputes. If you are a small or medium size corporation looking for a well rounded and experienced attorney to act as your general counsel please do not hesitate to contact me to discuss a potential retainer. Although larger firms may have an advantage with the sheer number of associates capable of being put on a case, they are sometimes restricted with the limited number of partners available who have the time and the necessary experience to address a unique problem. Lee has been retained by several law firms to consult on cases where his background and experience lends value to the larger firm’s representation of their client. Lee also has very affordable rates compared to attorneys with comparable experience at larger firms. Some matters that would be cost prohibited at a larger more expensive firm become reasonable courses of action when retaining Lee. As a result, several attorneys at larger firms refer their clients to Lee for matters that are prohibited by the rates at larger firms. If you are a partner at a larger firm you can refer a client to me in confidence that I will not retain that client past the matter referred. Lee lives in Virginia with his wife and a daughter 17. He has a daughter 22, an Army Reservist, studying Biology in Florida and a son 25, a Veteran of the Army, currently a 1L at American Law School in Washington, DC.